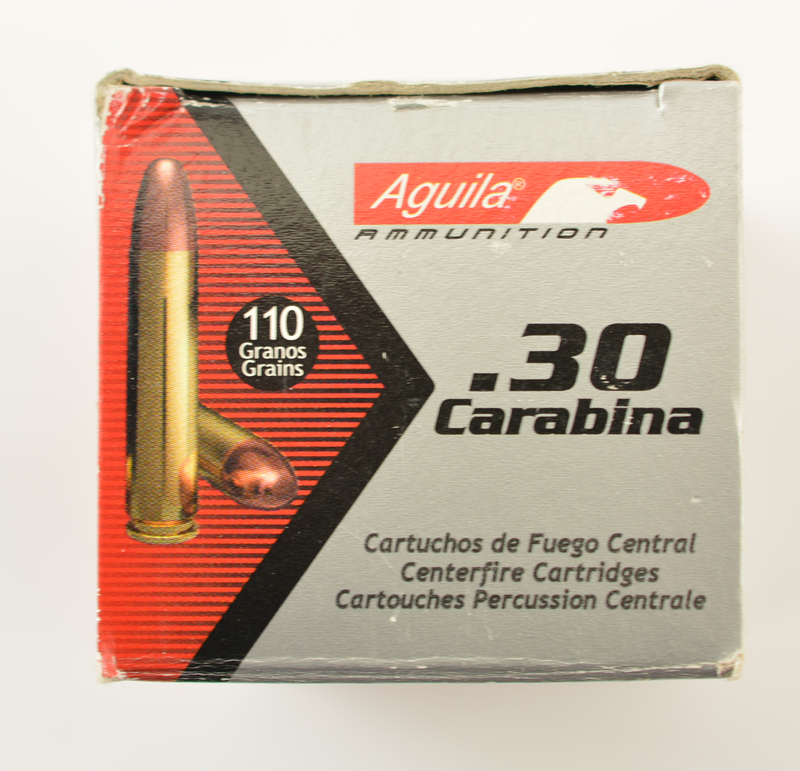 Description: Excellent non corrosive 50 round box of Mexican manufactured 30 carbine ammo. 110 gr, FMJ with muzzle velocity of 1990 EPS. A highly rated manufacturer. 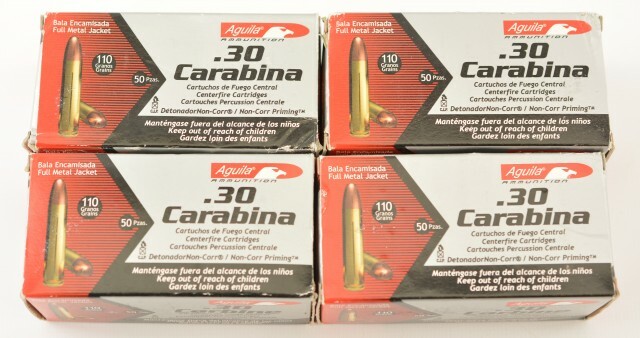 the cartridges and boxes rate as excellent. This is considered to be one of the best ammo for the 30 carbine sold as a lot of 4 boxes of 50 rounds total of 200 . New Corrosive cartridges.